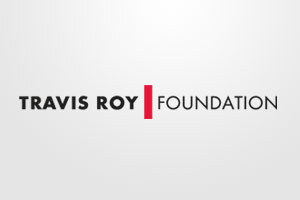 Donations to the Travis Roy Foundation have helped scientists conduct experiments that will eventually and ultimately contribute to the development of a cure for spinal cord injuries and other neurological diseases. Bench research: Studies are done in a controlled laboratory setting and are designed to look at the molecular and cellular levels of function. An understanding of normal cell anatomy and physiology at this level is necessary before we can develop an understanding of the body’s response to disease and injury. Clinical research: This research is more “patient centered” and looks at the effectiveness of therapies (including pharmaceutical intervention, physical therapy, and the use of adaptive equipment) as they are applied to patients involved in clinical studies. Translational research: This field of research attempts to bridge the gap between bench research and clinical research. It has been called the “bench to bedside and back” aspect of research and reminds bench researchers that their ultimate goal is to help patients, and reminds clinical researchers and patients that bench research is an essential component of their recovery. Advancements in our understanding of spinal cord injury and recovery continue to move forward thanks to the researchers throughout the world who are tirelessly working to develop a better understanding of the structure and function of the nervous system. 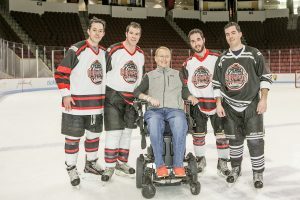 Experts from fields including cell biology, molecular biology, neuroscience, and rehabilitation have begun to collaborate as they realize that a multi-disciplinary approach is the best way to begin to understand the complexities of the spinal cord. Thank you for your continued support. Research is expensive. Your donations are helping the scientists move forward with their work towards a cure. Recovery - more than a return of movement.